I studied Biomedical Engineering in Enschede at the University of Twente. During my study I have done an internship at the Aalborg University, Denmark, to improve the kinematics between cervical vertebrae within the musculo-skeletal model of the AnyBody Modeling System. Afterwards, I performed my Master’s thesis at the Biomechanical Engineering research group of the University of Twente. This research was focused on ambulatory measured motion analysis, based on inertial & magnetic sensors and force-measuring shoes, to assess feasibility of capturing clinically applicable motion analysis data outside of a dedicated motion laboratory. 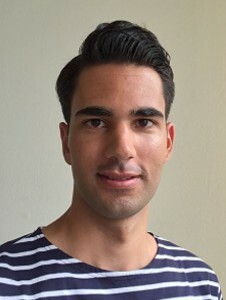 As of January 2016, I started as a Ph.D. candidate at the Orthopaedic Research Lab on the project called ‘Computational Methods for Pre-Clinical Assessment of Implant Fixation in Total Joint Replacement’ under supervision of Nico Verdonschot and Dennis Janssen. Aseptic loosening is a common failure after total joint replacement procedures, requiring revision surgery. Current pre-clinical testing of implant devices to prevent loosening is focused on initial post-operative stability, but no experimental methods are currently available to assess mid- and long-term fixation. 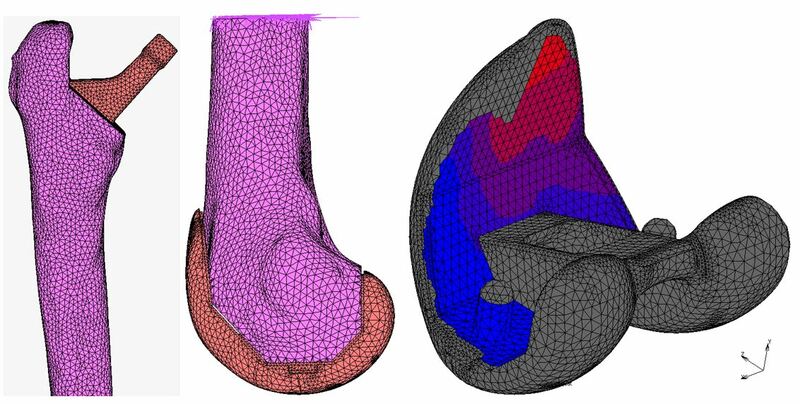 Use of computational methods can bring outcome, as they can be used to investigate both initial stability as well as the medium-/long-term bone response, examining a variety of different conditions including model loading, bone quality and implant design and placement. Within the Ph.D. project, established computational methods are used and refined to ultimately develop a validated computational tool to assess long-term fixation of cementless knee and hip implants before the clinical stage. and an example of analysis output, respectively.